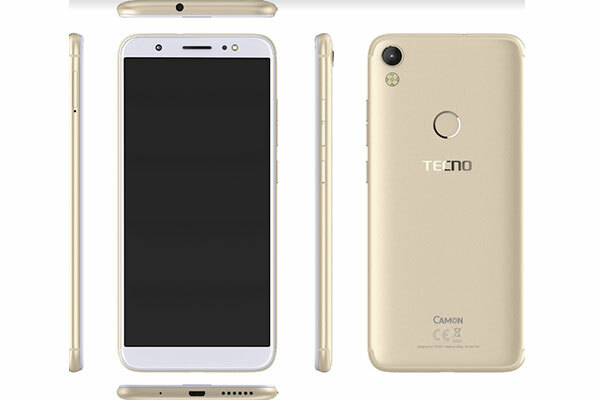 Tecno Mobile, premium mobile phone brand of Transsion Holdings, has unveiled new smartphone, the Camon CM, the first device in its Camon series to feature a frameless full-screen display. The smartphone maker also inked a distribution deal with Jumbo Electronics, giving the regional retailer exclusive rights to market and sell Tecno smartphones in the UAE. Tecno’s cooperation with Jumbo Electronics is part of Tecno’s strategy to consolidate its regional presence and both of them expect to get about 5 to 10 percent market share within the next two years, a statement said. Stephen HA, Tecno Mobile general manager, highlighted the company’s efforts to make revolutionary devices that will usher smartphone enthusiasts into an era of endless possibilities on the mobile phone and exceptional photography experiences. “The smartphone has been reinvented and OEMs globally are always on the lookout for the next big thing to talk about. At Tecno, we have pride in our ability to understand and meet and exceed our consumers’ needs,” said Stephen. The new Camon CM delivers a stylish full-screen display smartphone without bezels. This, according to Stephen, produces an immersive and an unparalleled experience when capturing and consuming videos and images, or even surfing the Internet. The frameless device takes multi-tasking to another level by allowing users to split their screen (18:9 screen support single window 1:1 split-screen operating with only one step), enabling one to handle more than one task effortlessly while still being able to see more on either of the split windows. The Camon CM also features a 2.5D corning third glass to protect and safeguard the device from cracks whilst delivering a smoother touch and better visual effects. The Camon CM has a 13MP front sophisticated camera module that delivers exceptional HDR portrait with night shot algorithm that lifts weak light, reduces noise in a single frame, and captures clearer night shots. Users can adjust the super bright flash of the front camera by pressing the screen to introduce just the right amount of light required to produce a stunning photo. Similarly, the rear camera dons the same camera rating and has a four-LED ring flash, which is optimized to deliver a balanced lighting before producing any shot. “In accordance to consumers’ preferences, we are gradually becoming camera-driven and this trend is evident in the camera-centric designs of our smartphones. Adopting our strategy of ‘think globally, act locally’, we are able to understand our consumers’ preferences and provide them with the necessary support to ensure they can express themselves wholeheartedly,” Stephen added. Tecno Camon CM will be available at all Jumbo Electronics outlets across the UAE three days after its launch and is set to retail at Dh599 ($163)-Dh699 ($190) including VAT.